If you’re seeking the most comprehensive car wash with a Scratch-free Guarantee, then choose the Soft Touch. 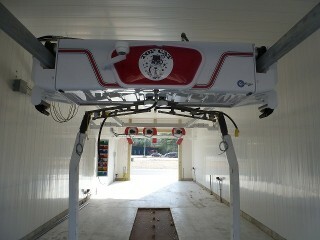 It provides the most thoroughly clean car wash, including a robust undercarriage wash. 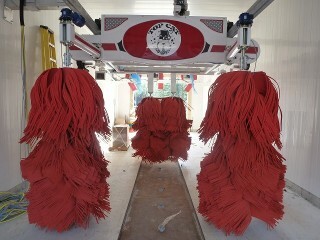 The state-of-the-art Soft Touch equipment is the most powerful car wash in New England. For customers who prefer their vehicles not be touched, we welcome you into our Touch Free automatic car wash bay. Top Cat Car Wash’s Touch Free Automatic boast a high-pressure wash, as well as a powerful undercarriage wash; removing all of the harmful elements that eat away at the heart of your vehicle. Did you know? Washing your vehicle at home typically takes 70 gallons of water, whereas at Top Cat Car Wash’s , it takes less than 35 gallons.